A new environment, an uncomfortable mattress, the excitement of vacation, fatigue, the food and… the altitude. It takes little for a ski vacation to transform from the paradise you dreamed of for a full year, to a collection of nightmarish nights. Is there any way we can be sure we will sleep well even when we are high up in the mountains? The answer is yes! Let’s discover together how we can. When you go over 2,000 meters above the sea level, you can develop a condition known as “mountain sickness”. It basically consists of a set of symptoms that includes headaches, quick heartbeat, nausea, fatigue, and so-called “insomnia from altitude”. A way to fix mountain sickness is climb down to a lower height, adapt to the altitude and then climb up again. 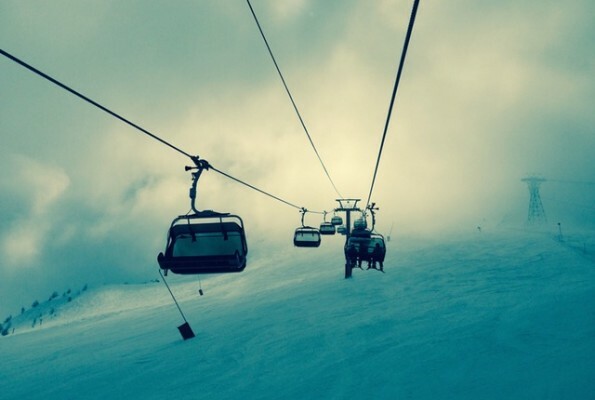 If the place you choose for the coveted skiing vacation is above 2,000 meters, you should consult your doctor. In some cases, he will prescribe anxiety medication and in others, medicinal herbs like Valerian. What complicates our sleep (and causes disorders) is especially the lack of oxygen (or rather, the drop in its pressure), which induces a condition of pervasive stress in our body. If you are in excellent shape and your doctor has given you the green light, our advice is that you take it easy on your first day of your ski vacation. Do not overdo it… you feel better for the rest of the holiday. Among the most significant studies on sleep at high altitudes are those conducted at the foot of Mount Everest, in the pyramid of the CNR, where in 2016 the Australian physician Keith Burgess will study the mechanisms involved in cardiovascular and cerebrovascular adaptation to high altitudes with a team of researchers from Canada, the U.S. and Italy. Coffee high up in the mountains: yes or no? Mountain guides will definitely say yes! Not only is it perfectly safe to drink coffee when you are high up in the mountains, but it can also “help to prevent or treat acute mountain sickness“. Just don’t drink too many cups during the second half of the day. Other than that, just remember to send us a postcard, ok?